Of all people in this murky world of indie rock, you want Johnny Marr to succeed. He always comes across as decent, he’s got a supernatural gift for attaching himself to cool projects - the Cribs, Modest Mouse, the Inception soundtrack, and frankly you can stick The Smiths under that heading too - he’s a well-liked, arch collaborator who knows who to work with, and fundamentally how to make them better. Even his first solo album, 2003’s Boomslang wasn’t really “solo”, released as a three piece of jamming musicians under the name Johnny Marr & The Healers. The man is clearly supernaturally likeable, though Morrissey’s autobiography moves a little past that, painting him as an almost obsessive people-pleaser, trying to maintain friends with all sides all the time. It seems to have annoyed Mozzer a bit, although you have to plough through the tedious courtroom drama section two thirds through his book to notice (which, really, I wouldn’t advise). It was a great chunk of good will that greeted Marr’s proper solo debut, The Messenger on its 2013 release. It deserved its praise as well, a perfectly contained, spiky little number with Marr unafraid to sound like, well, Johnny Marr. Which is nice, because for years - probably up to the point he joined the Cribs - he made an effort not to. It was satisfyingly Smithsy guitar pop, and as a lyricist and vocalist Marr acquitted himself rather well. A year later (which is practically nothing in modern music terms) and we have its successor, Playland and like The Messenger you hit play hoping for the best. So it’s a shame that this time around, Johnny doesn’t quite deliver. We’ll start with the good stuff, because there’s certainly some of that here. Lead single ‘Easy Money’ is a bit of a gem – all stabby riffs and nagging hooks, it’s got an instant bounce and a robotic groove that’s genuinely appealing. ‘25 Hours’ kicks off with a thunderous, mechanical sounding beat before it’s joined by one of those sparkling Marr riffs that seem to tumble out of his Fender Jaguar, while some synthy strings give it a certain Eighties sting. Marr’s voice is limited, but here he makes a virtue of his under-singing to create something quite urgent and tense. 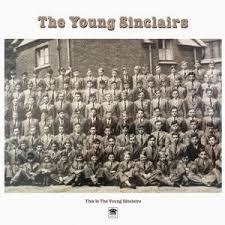 ‘Boys Get Straight’ has killer of a chorus, worthy of any of the acts Marr’s worked with over the years. The problem here is certainly not a lack of talent, but there is a lack of ideas. 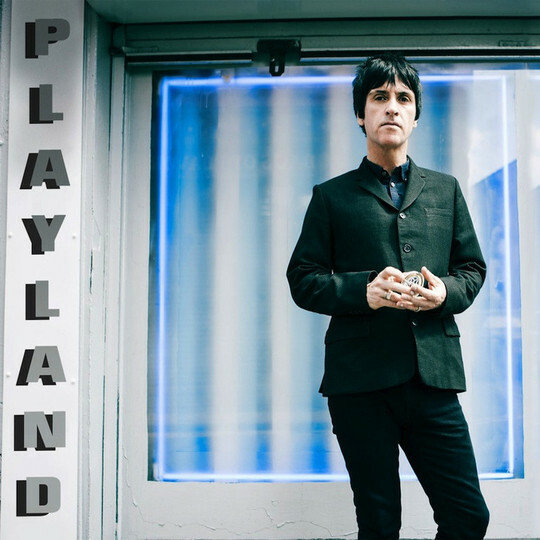 There’s a definite through line between this and The Messenger, though Marr has obviously decided to differentiate his newer baby by toughening up the sound - Playland is slathered in aggressive synths and spiky riffs. They work well, but there’s just not enough to go around, stretching four or five strong ideas over 11 songs . When Marr does deviate from his darker colours you get something like ‘The Trap’, with its melodic bassline and less-than-substantial vocals sounding like a rather substandard New Order song. It’s just a bit bloodless. It’s never a bad record, Marr is too experienced, too skilful for that. He knows how proper British indie rock sounds - he basically wrote the blueprint - and those instincts are all brought to bear here. But it’s not a particularly satisfying or interesting record either. What’s clear is how badly Marr needs a foil, a counterpart, a collaborator, because on his own his ideas only seem to stretch so far, and so, sadly, does our good will.